During 2016 six young people worked with Sam Booth in his workshop near Castle Douglas. With over 30 years experience in interior, product and building design Sam has realised his ambition to develop beautiful, sustainable, small buildings through establishing Echo Living. 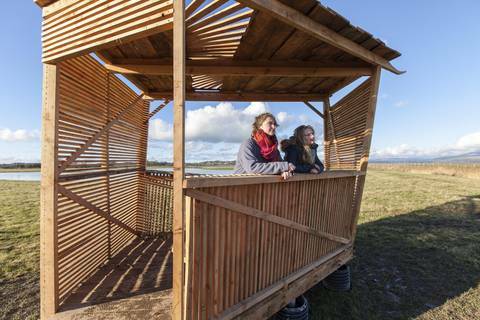 For the first time the group worked collaboratively to design and build a structure which has been sited at the Crook of Baldoon, an RSPB reserve near Wigtown. Our Modern Makers for 2016 were: Catherine Major, Richard Booth, Matt Copeland, Jordin Mchallam, Sarah Cloy & Frances Coombey. The group were involved in every step of the process, from selecting the site, to collecting the larch to designing and building the structure. The process of the build was captured by photographer and film maker Colin Tennant. Watch more films about Upland projects on Vimeo. 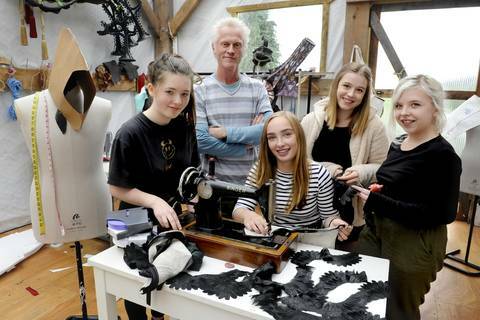 Modern Makers 2016 was supported by The Holywood Trust, the Archie Sutter Watt Trust and CashBack for Communities through Creative Scotland's CashBack for Creativity Programme.